JOIN OR SUPPORT TEAM ROTARY HELP RAISE FUNDS FOR A CURE TO MULTIPLE SCLEROSIS! 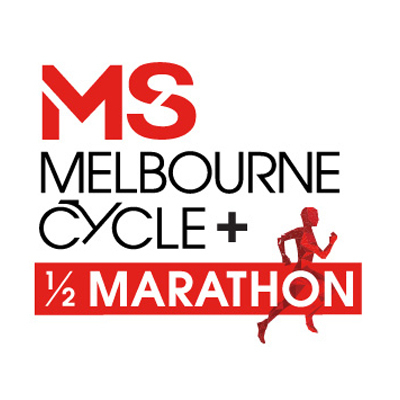 On Sunday, 31 March 2019 a few Rotarians from Southbank will be participating in the MS Melbourne Cycle + 1/2 Marathon (several distances offered see below) at the Flemington Racecourse. This participation was inspired by a recent visit from Rotary Club of Gisborne as part of their MS awareness program (RAGMSA). During this presentation we learnt about this debilitating condition, and were shocked to learn that it is the most widespread disabling neurological condition of young adults around the world, and there is no cure yet, but research and discoveries are helping to inch further to a cure. You can develop MS at any age but the vast majority receive their diagnosis between the ages of 20 and 50 years of age, but children as young as 10 years can be diagnosed.1 in 3 Australians will be directly impacted by through a diagnosed family member, friend or colleague, and 3/4 of people living with MS are women. We have a goal of raising $1000 for MS research and support. Please help us make a difference by registering to join team Rotary by clicking on the following link and then click 'join now', or by simply following the link and donating. There is a small registration fee ranging from free entry for 3-6km cycle, and $40 for 5-21.1km run. You can choose your distance, 3km, 6km, 30km or 50km rides, or 5km, 10km or 21.1km run. Thanks for your support and assistance with this Rotary initiative.